Working at American Principles Institute is more than a job; it’s a rewarding experience where you’re actively building programs and policies that matter to you and your community. Join the API team, and help us formulate and promote the conservative movement through the principles of limited government, individual freedom, free enterprise, personal responsibility, traditional values, and a strong national defense. No temporary positions at this time, please check back soon! 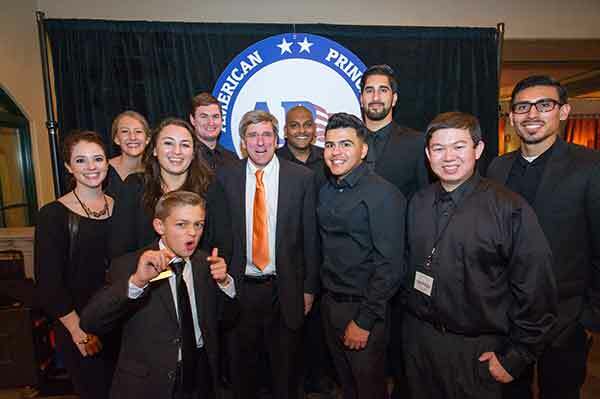 The American Principles Institute’s internship program provides useful and effective training for student leaders preparing for a career in politics and non-profit administration. Students selected to participate in the program receive educational opportunities, benefits, and free entrance to all API-sponsored activities. Please fill out the form below and check the box that says “I WANT TO VOLUNTEER” to volunteer for API events and projects. You will be contacted within two weeks by our Volunteer Coordinator to answer a few follow up questions that will help us decide how to best utilize your skill set.